Without a doubt, the remodel or upgrade of an outdated bathroom is a wonderful way of improving the value and overall appearance of any home. Nonetheless, many homeowners avoid these makeovers for fear of excessive time involvement and financial investment. Luckily, there are shower upgrades widely available on the market that offer the ideal solution for all bathroom remodeling dilemmas. Known in the industry as “shower kits,” these interior home decor improvements have a one-piece design that facilitates easy installation. They are sold at all major home improvement retailers and online vendors. An upscale feature available in many stylish designs, such kits come as sections that may be custom-fit to best suit your specific mobility and spacing requirements. These interlocking sectional units fit together to form a complete shower stall for both master and secondary bathrooms. In addition to their compact physical design, shower upgrade kits offer exceptional value – especially for more “handy” homeowners. Constructed of durable materials that stand up to corrosion and rust, they are also very easy to clean and maintain. All components are contained within a single kit. The number and size of the included parts depend upon the relative complexity of your planned project. There are some kits that include all accessories such as shelving or wall-mounted bath linen bars. Others feature only the bare essentials. 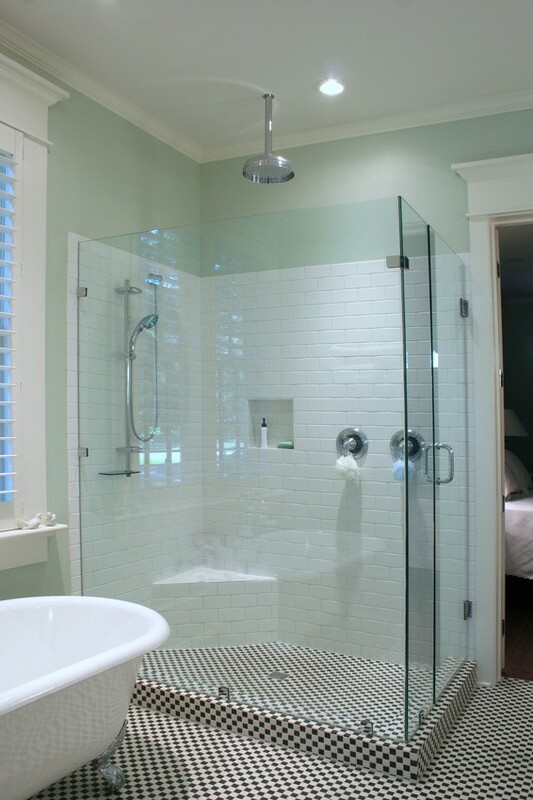 Regardless of your final choice, however, you will find that shower upgrades are convenient, cost-effective options that are also easy to install. You can even select pre-coordinated components that appeal to your personal preferences. If your bathroom area is relatively large or you want a fancier look, consider one of the steam-generating shower upgrades. In the past, steam showers were unavailable to individual consumers. Only industrial and commercial clients such as gyms or health clubs were able to buy them. All that has changed, however. Steam showers have many benefits that are very valuable for maintaining the health of your sinuses and skin. Not to mention the relaxation and tension relief that we all tend to yearn for after a hard day at work. Now, you may experience the same ambiance of expensive saunas without ever having to leave home! To begin your odyssey into aquatic ecstasy, just touch the digital dials displayed upon the control panel of the handheld device. Then, merely relax and enjoy your reverie into rejuvenation and bodily restoration. Installing a steam shower unit will most likely entail contacting one or more local contractors. This is invariably the case if internal plumbing and steam generating shower units are concerned. However, the high tech professional techniques commonly employed today make replicating the incredible relaxation and rejuvenation of high-end saunas and spas a realistic expectation. In fact, it can even offer more long-term economy than ordinary bathtubs – particularly for those who like to take long, luxurious bathing sessions. The water and money you stand to save are substantial. Although electrical costs may increase somewhat, most homeowners agree that the expense pales in comparison to the results. Gone are the days when bathrooms were mere cubbyholes designed for hurried morning preparations to face the upcoming day. Today’s modern household restrooms take the concept of “bathing” to a whole new level!